Crowning a new queen involves a grueling process of elimination and with three auditions already completed, the group is now ready to be reduced to twenty contestants and matched to sponsors during the eliminations show on June 21, 2015 at The Jamaica Pegasus Hotel. The eliminations show will serve as a precursor to the Grand Coronation show on August 15, 2015 at the Montego Bay Convention Centre where Miss World 2014, Rolene Strauss, and Miss World CEO, Julia Morley will be the special guests. 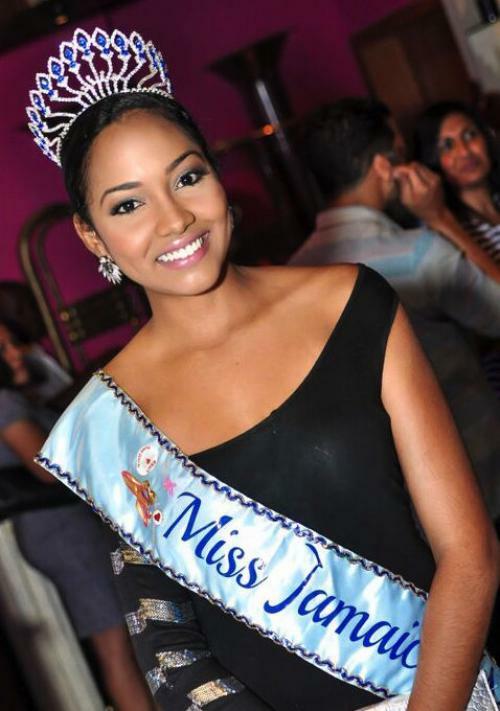 “The Miss Jamaica World Franchise has successfully achieved three Miss World titles and countless ladies have placed as finalists in the most renowned ‘Beauty With A Purpose’ competition in the world. Miss Jamaica World 2014, Laurie-Ann Chin, placed in the top 27 with her beauty with a purpose project that included securing funds for the building an autistic model centre with the largest budget for a “BWAP” project in Jamaica to date, over J$4 Million in value. This year the franchise seeks to exceed last year’s achievements and are once again on the search for this year’s ‘Beauty With A Purpose’ ambassador by crowning Miss Jamaica World 2015,” stated Laura Butler – Miss World Franchise Holder for Jamaica and Managing Director of Fusion Consulting Ltd.
At the eliminations show, prospective ladies will be pre-judged on beauty of face and body, poise, intelligence,personality, warmth and charm, from a panel of expert judges. Former Miss World, Cindy Breakspeare, Miss Jamaica World 2011 Danielle Croskill, Sophia Maxbrown, Laura Butler, Sophia Butler, Robert Richards, Richard Ferdinand, Aston Cook and Tommy James round off the list of judges who will select the top twenty girls that will move forward to the final stage. Jason Beek, a representative from PricewaterhouseCoopers will also be on site to ensure transparency, credibility and fairness during the judging process. The Miss Jamaica World 2015 Eliminations Show will be held on Sunday, June 21, 2015 at the Jamaica Pegasus Hotel with private pre-judging beginning at 10:00 a.m. – 1:00 p.m. and the Elimination Show starting promptly at 7:00 p.m. Pre-sold Ticket prices are $1,500.00 for General Admission, and $2,500.00 for VIP. Tickets purchased at the Gate will be $2,000.00 for General Admission and $3,000.00 for VIP. Tickets may be purchased at, Fontana Pharmacy (Barbican), Spartan Health Club, Max Brown (Sovereign Centre) and the Jamaica Pegasus Hotel. “The elimination process is not an easy task as judges have the difficult job of reducing the number of contestants to 20. Contestants are quite nervous, as many have had no previous experience on stage or facing an audience with high expectations. This is really the beginning of the competition as the young ladies are to be properly groomed and prepared for finals through an intense training program with Fusion Consulting, Spartan Health Club and the University College of the Caribbean. There will be a vast improvement in their appearance, presentation and time management skills, confidence, knowledge of country, interview skills and increased awareness of the needs of our people through exposure to various charities. MJW is excited for another opportunity to challenge and develop another 20 young ladies this year, by providing them opportunities to grow personally and also further their education. We are working towards finding our next Miss World title,” stated Butler. Major Sponsors & Partners for this year’s staging of the event include Flow, who will be carrying the live broadcast of the Grand Coronation show to viewers across the island, as well as both Flow and MJW Facebook online live stream. The Jamaica Tourist Board, Phase3, Digicel Sportmax Limited & CEEN will broadcast the finals in North America, The Gleaner Company, The University College of the Caribbean, GB Energy/TEXACO, Panasonic, Intcomex, Secrets Resorts, Iberostar, Royalton, Jamaica Pegasus, Montego Bay Convention Centre, ZIP 103 FM, Kosmo Tours, Knutsford Express, Chukka Tours, Tai Flora, Biore, Jergens, Fusion Consulting, Pure Country and MAPCO Printers.